When we look at them, we see ourselves. Have you lost all joy in life? Are you feeling listless, cynical, confused, sad, defeated? Does each day seem to bring only fresh reminders of the worst that humanity can offer? Then you need to watch the Astros play baseball. You will scoff. You will object. You will say it is ludicrous to think that a team of high-paid professional ball players could ever restore one’s faith in human existence, least of all a bunch of flyover-country types who wear orange suits and play for a town you know little of and care even less about. To a certain extent, your skepticism is understandable. If all we Houstonians knew about the Astros was what slick-suited pundits told us from TV sports desks in Los Angeles and New York, we might not think much of them either. 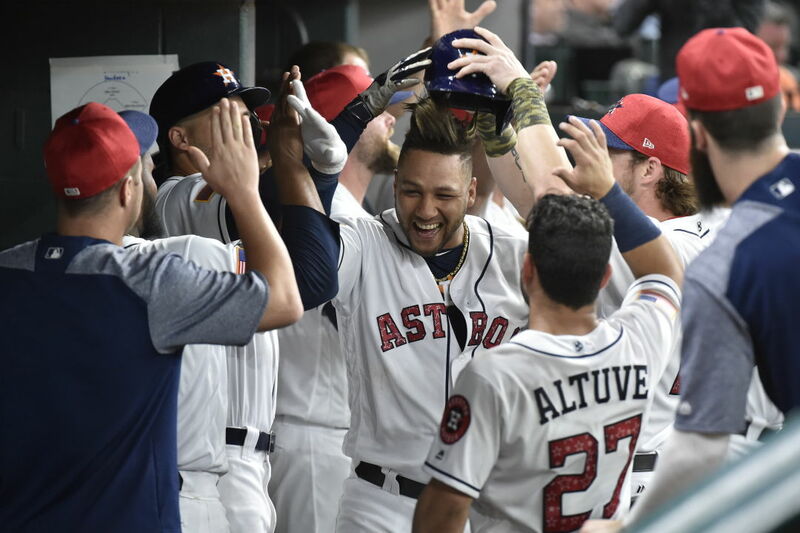 Yes, the national networks show the ‘Stros some love from time to time, but it always feels like a set-up, a way of burnishing the reputations of teams they confidently predict will defeat us, usually teams in Los Angeles and New York. You'd think that the results of last year’s presidential election would have taught folks, if nothing else, the true value of confident predictions by well-coiffed pundits on America’s coasts. But we digress. What makes the Astros worth watching, and watching closely, isn’t their talent for winning, great as that talent might be. It isn’t the team's superlative offense, clutch pitching, leaping and diving catches and what not. 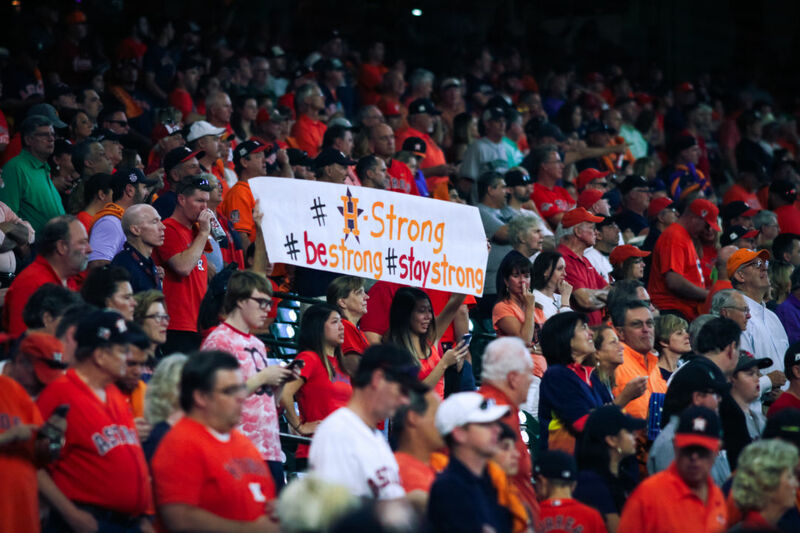 Indeed, what sets the Astros apart isn’t really what they’ve done on the diamond at all, but rather the spirit of optimism, love and joy with which they've done it, a spirit that has infected and lifted up every one of their fans. The secret to the Astros' success? Joy in the game. Ordinarily, optimism, love and joy don’t count for much in this world. But when a city suffers as Houston has suffered of late, such things stop seeming frivolous. Without love, we wonder, where would this city have summoned the strength to conduct all the daring rescue attempts and multitudinous acts of kindness that Hurricane Harvey necessitated? Without joy and optimism, how would Houston have the energy for the massive recovery effort that lies ahead? It didn’t take the Astros to bring such attitudes to Houston, of course. Still, by embodying them during the great catastrophes of August, they endeared themselves to this city in ways baseball teams rarely can. Just by being their own crazy selves, doing what they love and loving what they do, battling to win day after day, the team inspired a city of millions to keep battling too. They grieved for the town that had given them so much, and suffered along with it. They were generous with their time and manpower and money, made promises to help us rebuild, promises that have been kept. Houston Strong patches proudly emblazoning their jerseys, they vowed to win for us, and they did that too. 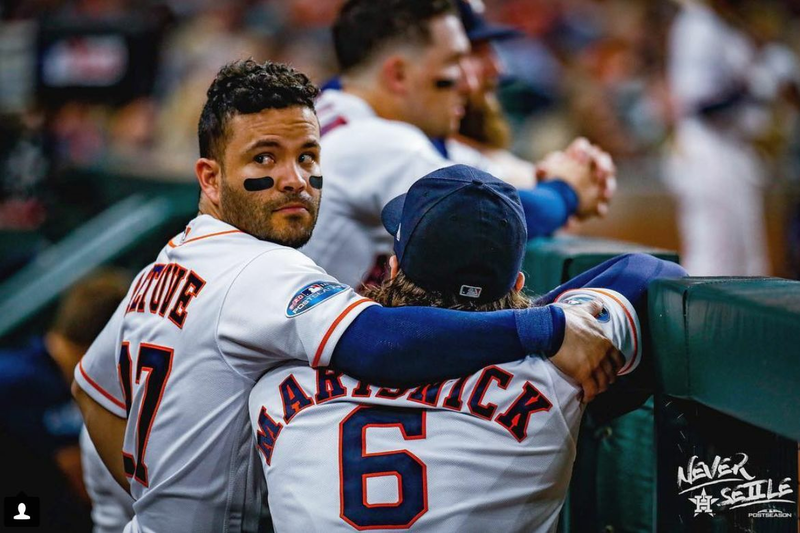 More to the point, whenever the time came to hit the field they did so as happy warriors, without a hint of reluctance, Jose Altuve leading the pack with a smile each and every day. They exulted when they won and never pretended that a loss was the end of the world. (Like all of us, they’d seen what the end of the world looked like, and knew it was nothing like losing a baseball game.) Come what may, they kept fighting, hoping against hope that better days would come. And lo and behold, they did. 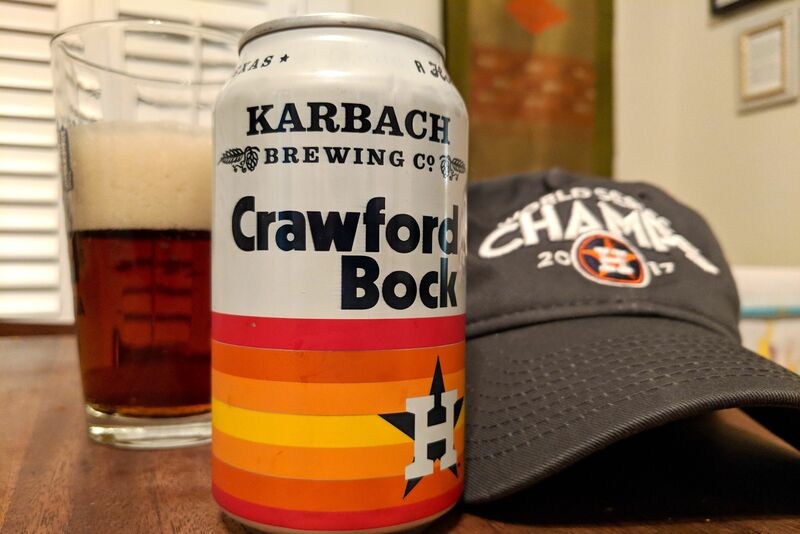 For the Astros and their city, faith was father of fact. Which is why we'll keep watching and cheering them on in the days ahead, and why you should too. They're a dynamic, deeply talented group of men who play the game of baseball at its very highest level—which may well be the least of their accomplishments. 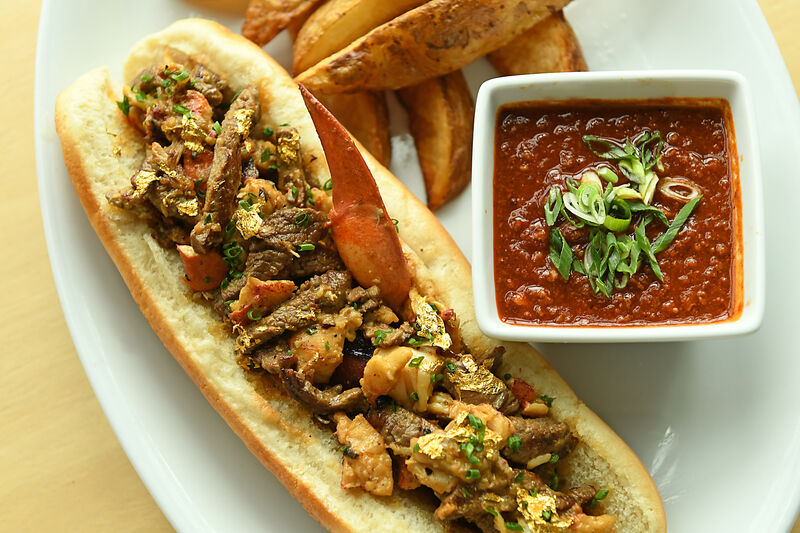 You don't have to be a Houstonian to find reasons to pull for them. To cheer for the Astros is to cheer for a world where character and personality can coexist in professional sports; where people feel lucky, not entitled; where it's a blessing to be able to give your all to any cause, win or lose; where a desperate desire for victory is no barrier to accepting defeat with grace; and where loving your own team can never mean hating an opponent. 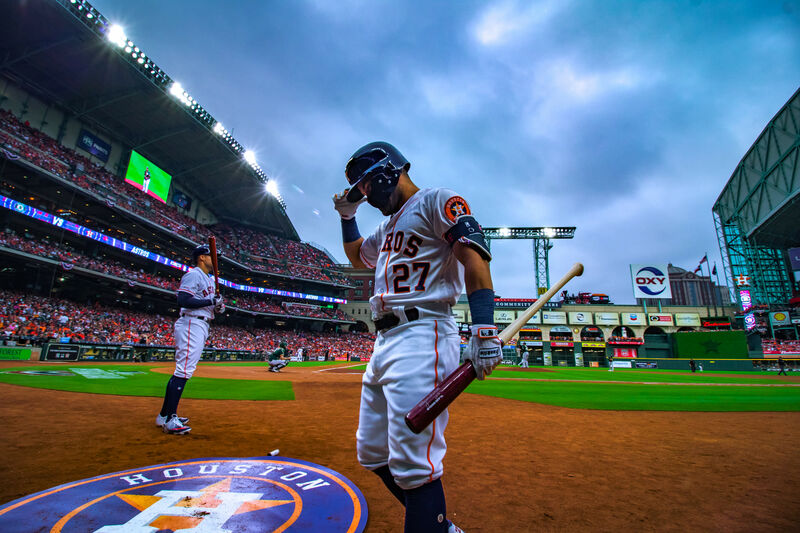 To love the Astros is to be grateful that baseball is just a game, that it exists solely to bring pleasure to its players and fans—because if baseball were anything more, it wouldn't be nearly such a potent antidote in times of pain.